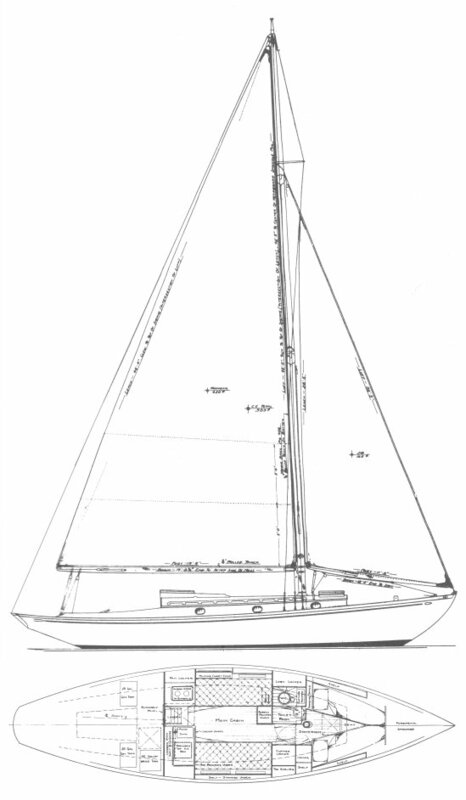 The original COASTWISE CRUISER, Alden design #675, (most popular version and shown here) called for a fractional rig with a club jib. But many were built with a bowsprit and cutter rig. Carl Alberg was an employee at the Alden design firm at this time. There was a later, slightly larger version (design #779). Of these, only 6 were built.